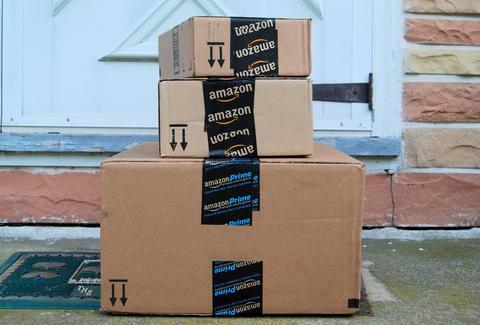 As gloriously convenient and affordable Amazon's made it to get next-day delivery on everything from shampoo to sneakers, it's a slippery slope when it comes to loading up your cart with impulse items. The deals on deals on deals can easily lead you astray, blowing half your paycheck on crap you'll inevitably regret buying. And that's not to mention those late-night Amazon shopping sprees after a few adult beverages. 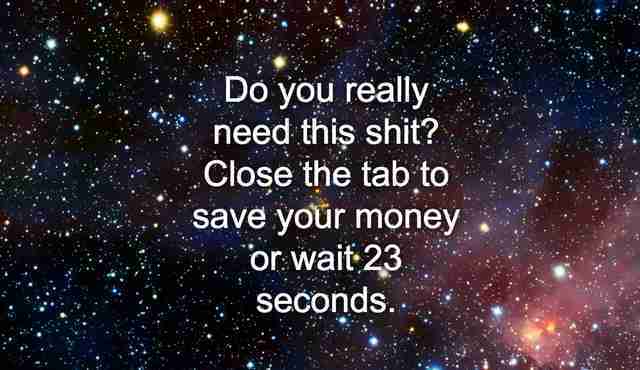 Fortunately, a new Chrome browser extension is here to keep you from overspending on stuff you don't need. Meet Amazon Contemplate. Once installed, every time you add a new item to your cart, AC will force you to wait 30 seconds to continue as your Amazon page is overtaken by an enormous message prompting you to reconsider the potential purchase. You can either mull it over for the half minute until the pop-up disappears, or bypass it by closing the tab (the item will remain in your cart). Sure, it'll probably grow quite tiresome to sit through a countdown every time you go to buy legit necessities, but for those of us who're a bit trigger-happy when it comes to Daily Deals and novelty Nicolas Cage merch, it's a brilliant guardrail that'll keep you on budget and off Hoarders. Joe McGauley is a Prime-obsessed senior writer for Thrillist.